I don't usually commute by train during the whole year, but I know there are plenty things to do at the Grand Central, including food! There are a lot of places to eat, from a snack bar to fancy restaurants. 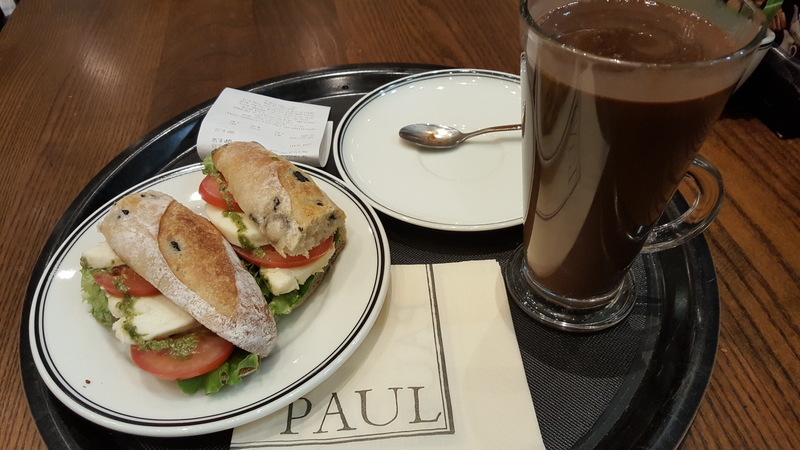 And one of those places is Paul Bakery. A successful family business with more than 127 years of dedication in the art of producing outstanding French-style bread. 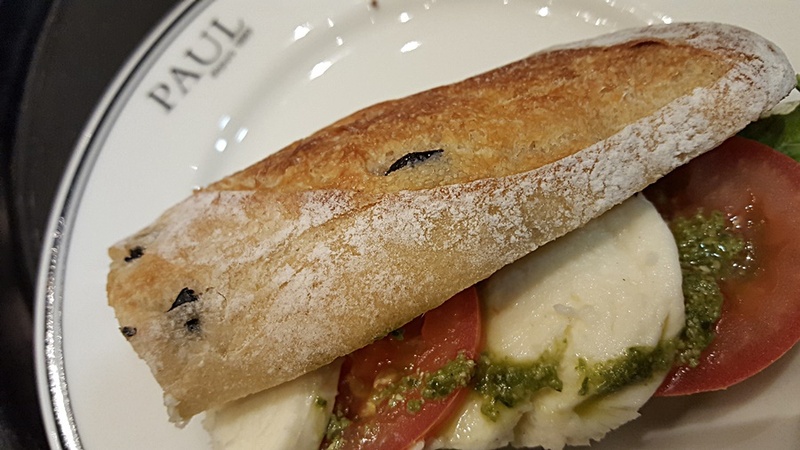 Typical boulangerie treats are found at Paul Bakeries spread all over the UK. I visited the one at the Grand Central a couple of weeks ago. Despite being a small site, there is so much to explore. I was tempted to go straight to the patisserie and indulge in some kind of meringue, tartlet or French-style pastry. They look gorgeous in the display. But as it was my lunch time, I preferred to go for a sandwich. The choice of the day was a tomato, mozzarella and pesto baguette. I have no idea if it was made on site, but I could certainly spot the quality of a French crafted bread in this snack. Simply delicious! It is summer, but the temperature in the UK is not asking for Pimm's, so I couldn`t resist a hazelnut hot chocolate to warm me up. There was a balanced taste in this drink made with real chocolate and is was not that rich. From my table, I got the gist of how busy this place is during the week. The staff are non-stop providing great service, by the way. Paul Bakery is famous for their lunch on the go and nobody can resist a quality bread made treat anyway. It was good to discover another guaranteed winning choice.